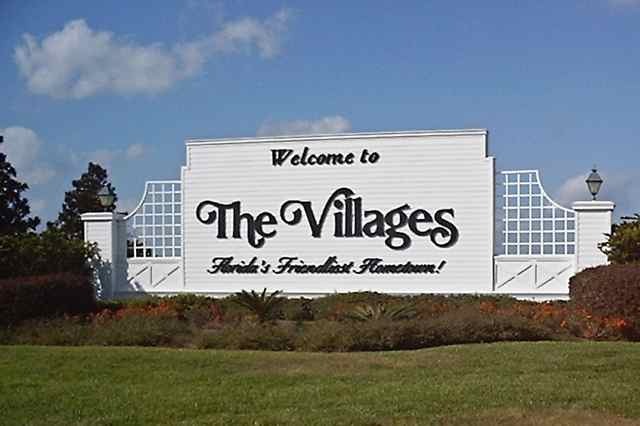 The Villages in Florida is one of the largest active adult communities in the country with hundreds of amenities. If you're looking for a new lifestyle in the new year, it may be time to consider an active adult community. There are many fabulous communities found across the country, each designed to offer resort-style living for residents age 55 or better. Here are ten impressive active adult communities to jumpstart your search. As one of the largest age-restricted communities in the world, The Villages features over 56,000 homes and countless recreational and social opportunities. The community functions as a self-sustaining town with many retail centers, restaurants, banks, healthcare facilities and other services in addition to its resort-style amenities. Set just outside of Tampa, Sun City Center is a bustling active adult community which offers multiple clubhouses, outdoor recreations, retail centers and plans for over 6,200 homes in many styles and sizes. Residents can make use of many resort-style amenities, while also getting to know their neighbors with a choice of nearly 200 special-interest clubs and activities. As the country's first modern active adult community, Sun City was created by Del Webb to embrace a healthy, active lifestyle. Today, Sun City offers over 26,000 homes and impressive amenities including 11 golf courses, seven recreation centers, 19 shopping centers, swimming pools, sports courts and much more. Robson Ranch, by Robson Communities, enjoys a prime location halfway between Phoenix and Tucson. At the heart of the development, a 17,000 square-foot clubhouse provides many amenities, including hobby and game rooms, an on-site restaurant and a state-of-the-art fitness center. The outdoor recreations feature an 18-hole golf course, sports courts and a fishing lake. Sun City Summerlin is a popular 55+ Del Webb community in the heart of Las Vegas, Nevada. 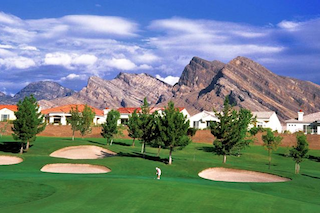 Perched at an elevation of 3,000 feet, in the Spring Mountain Range, Sun City Summerlin is a popular active adult community with affordable homes and fabulous recreations. Sun City Summerlin is part of the larger Summerlin master-planned community. Residents enjoy an exciting line-up of amenities, clubs, classes and social activities. Active adults who want a resort-style community in a beautiful Georgia setting, may fall in love with Village at Deaton Creek. About 40 miles from Atlanta, this small to mid-sized development offers 1,186 affordable homes in both single-family and attached villa designs. It also boasts a 35,000 square-foot clubhouse, resort-style amenities and numerous clubs, classes and activities. At Sun City Lincoln Hills, active adults enjoy two 18-hole golf courses, two amenity-rich clubhouses and many additional outdoor recreations. They can also gather with friends in the Meridians Bar & Grill, or take part in a wide range of special-interest clubs, classes, activities and social events. Laguna Woods Village offers 12,736 diverse homes in sizes, styles and prices which meet the needs of many different active adults. It has seven amenity-rich clubhouses and outdoor amenities which include swimming pools, 36 holes of golf and an equestrian center. Retiring in the midwest is easy at a resort-style community like Sun City Huntley. Here, active adults can enjoy living among peers while taking part in golf, tennis and a wide variety of recreational and social activities. The community features multiple clubhouses, as well as nearly 5,500 thoughtfully designed homes. Just 30 minutes from Austin, Sun City Texas spreads across 5,300 acres to offer approximately 7,500 homes, three championship golf courses and an 86,000 square-foot clubhouse with many resort-style amenities. The grounds also feature sports courts, a softball field, a dog park and community gardening plots.